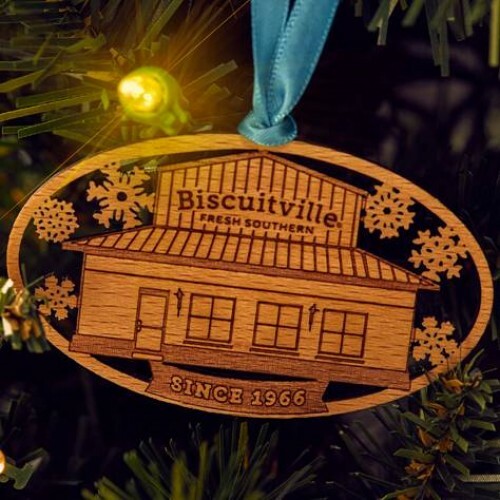 Our Biscuitville Christmas ornament is the next best thing to having biscuits under your tree. 3" x 1.75" custom-designed wooden holiday ornament with turquoise ribbon to hang. This ornament comes gift boxed and ready to give!